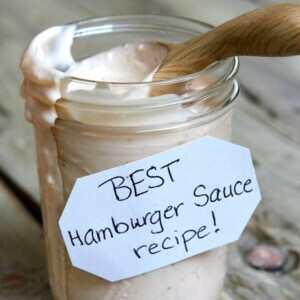 This Best Burger Sauce Recipe is truly the best sauce to add to your burgers. 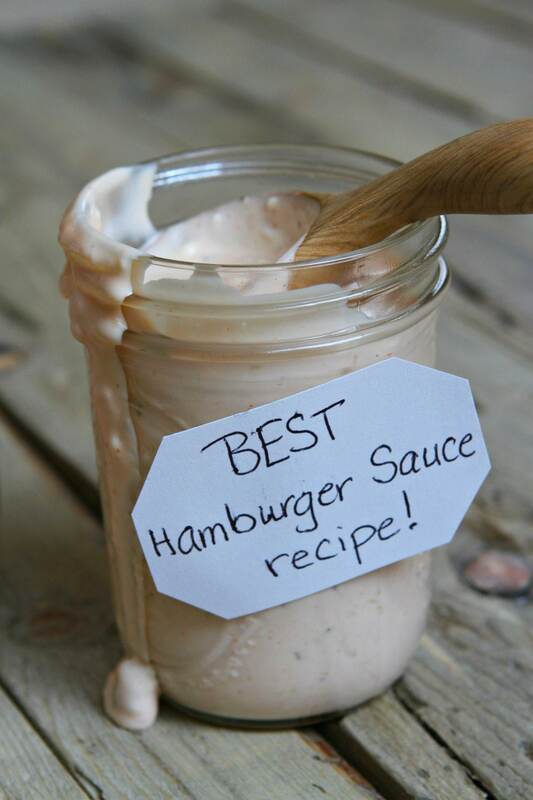 It’s very much like a Thousand Island dressing, and it’s the perfect pairing for hamburgers! 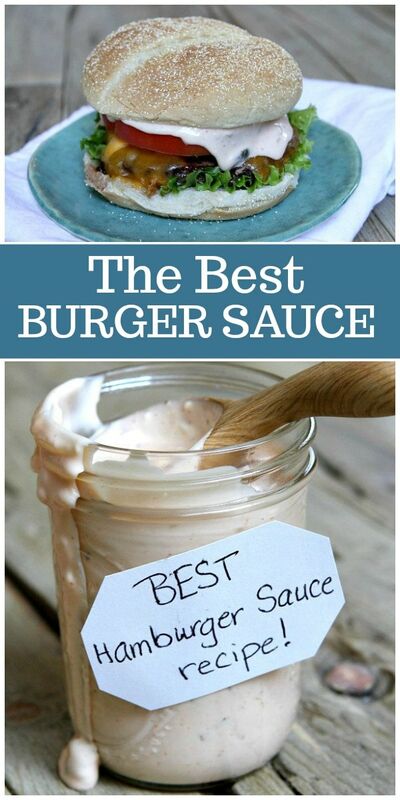 Watch the video showing you how to make the Best Burger Sauce Recipe, then scroll to the bottom of this post and print out the recipe so you can make it at home. It has been 3 years since my cookbook- The Recipe Girl Cookbook– was published, and I’m still picking it up and making the recipes. Since I packed the book full of 195 of my favorites, my family has things that they request again and again. When I was 15, I talked my way into a job at a little mom and pop ice cream and fast food shack called The Penguin. 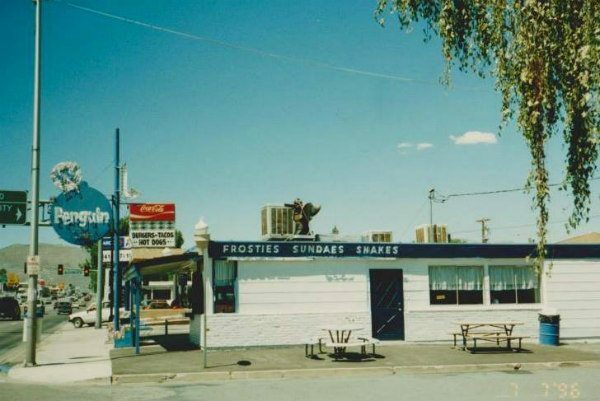 It was one of those places where you stop when you’re driving through a small town on a long road trip, flashing frostie sign luring you in. It was also a place that was very popular with the locals. The malts, dipped cones, and finger-sized French fries were among the favorite menu items. Even the Penguin tacos were a big hit! But the burgers were what kept people coming back. The Penguin Burger was by far the best burger the town of Carson City, Nevada has ever seen. I grilled up my share of Penguin Burgers working there as a young high school student, and I topped them all with a secret, special sauce that made them so delicious. 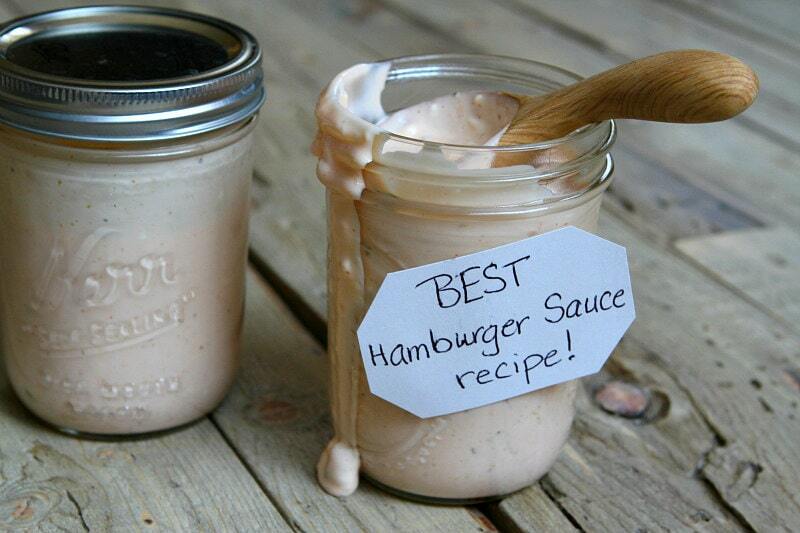 Is this Best Burger Sauce Recipe the same thing as Thousand Island Dressing? Pretty much! That’s something McDonald’s did right back in the day with the creation of their “special sauce.” That special sauce turned out to be very similar to Thousand Island Salad Dressing, and it turns out to be a delicious addition to hamburgers! 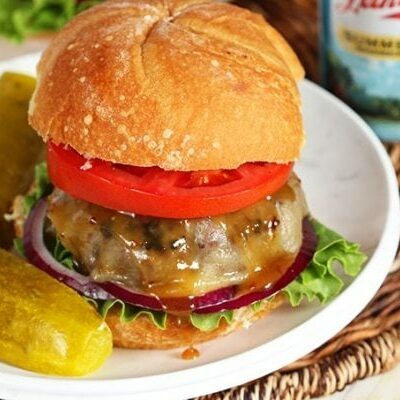 I don’t keep Thousand Island Salad Dressing in my refrigerator, so it’s nice to have this recipe to whip it up for burgers when I’m grilling. The Penguin was torn down several years ago to make room for a gas station conglomerate, but my Penguin Burgers’ special sauce recipe is a nod to what those burgers were all about. The full recipe for the actual Penguin “Burgers” is in my cookbook, but I’m sharing the special sauce with you today so you can add it to your own burgers! 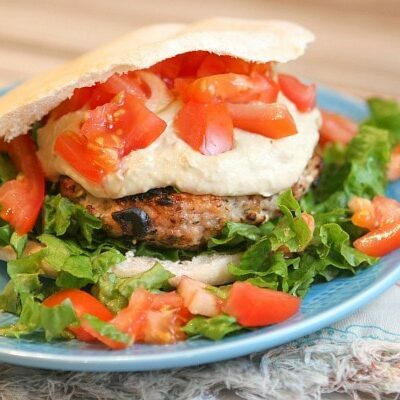 You may want to add the Best Burger Sauce to my Turkey Garden Burgers or these Blue Cheese Burgers. It’s such a great addition to a burger! And be sure to serve your burgers with either my Old Fashioned Macaroni Salad or my favorite All American Potato Salad. 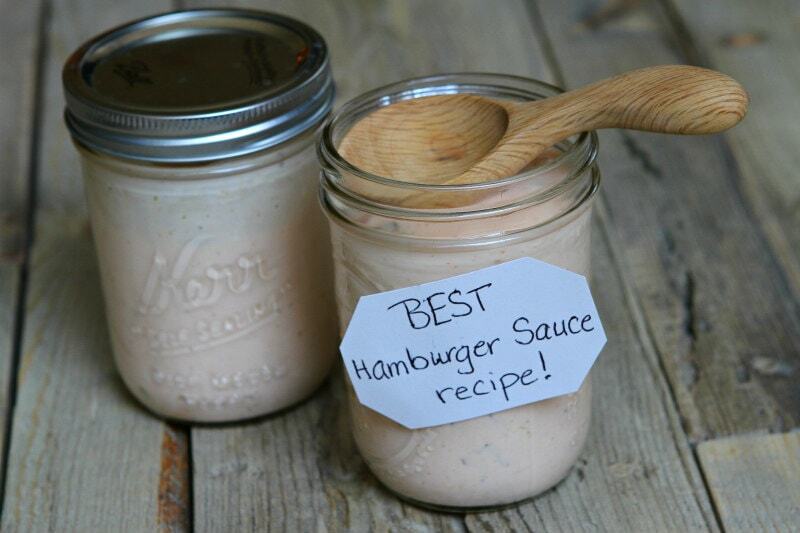 This burger sauce is the absolute best addition to your grilled hamburgers! In a small bowl, whisk together all of the sauce ingredients. If you tend to like a sweeter sauce, add 1 full teaspoon of sugar. Add 1/2 teaspoon to cut the sweetness. 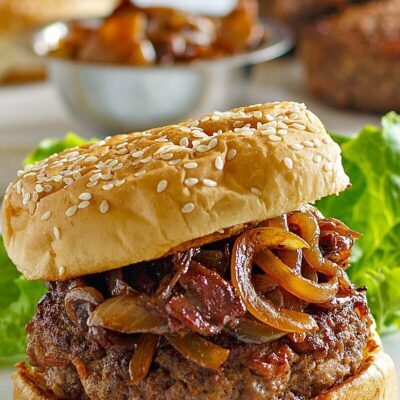 Refrigerate the sauce until your burgers are ready to assemble. This may be may up to 1 day ahead. If you are gluten free, just make sure the brands of mayonnaise and ketchup you are using for this recipe do not contain gluten. Really good! Thanks for the easy recipe. I made exactly as-is (1/2 tsp of sugar) and it was perfect. I may add more than just a dash of cayenne pepper next time, i like a little heat. Thanks for the recipe! I could not find any sweet pickle relish in my country. Do you have an alternative for sweet pickle relish that i can use ? Chopped pickles is a perfectly fine substitute. I was looking just to looking for an onion sauce when I came across your recipe. I moved to Carson City in 1976 and The Penguin was the first place I ate. Thanks for the memories and the recipe! how fun! Thanks for commenting! I’m on a low carb diet. Do you know what the nutritional values are ??? Sounds like this could be similar to Artic Circles fry sauce. I’m not a fan of pickle relish, sweet or dill, so I’m going to leave out the relish. I think it would make a great topping on baked potatoes. That is a homemade thousand island recipe! I got super excited when I first started reading this. I too worked at a little mom and pop ice cream and burger joint named the Penguin when I was younger. But it was in Turlock CA. They owner maid all the ice cream himself and we had a special burger sauce as well, the recipe is different than this one. When I was a small child we would drive. 45 min. just to get the ice cream and burgers. It was a very popular place to all the local towns around it. Some of my best memories is working there. Really good, and so effortless. We had it on burgers, and there was still a lot left and l used it on corned beef leftovers from a New England boiled dinner. Sweet pickle relish?.. is that sweet mustard pickle? Only change I would make is diil relish not sweet. Sounds yummy. 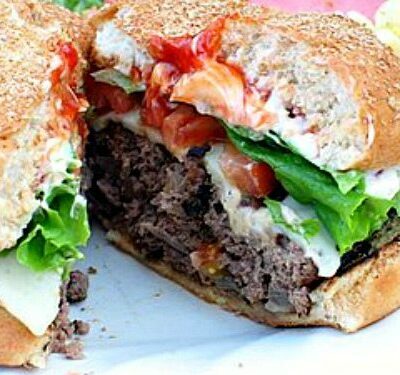 BEST HAMBURGER SAUCE EVER RECIPE: When you remove the sauce from the refrigerator, do you heat it before putting on the hamburger? Thank you. No, keep it refrigerated- it does not get heated! As a burger lover, I love your story!! Thanks so much for sharing your recipe, I can’t wait to try it!!! omg, I hope you love it!!! I would have to use dill relish instead of sweet as I do not like sweet relish but this sounds great, will give it a try. I don’t like “real” mayo and prefer “salad dressing” instead. Can I do that? How long can it be stored? Does it have to be refrigerated? Was thinking about making it up for a gift basket. I probably wouldn’t keep it longer than a week. Yes, on the refrigeration- for sure! I remember The Penguin! We loved going there. Sad to hear that it’s gone. We moved away from Carson City in 1996 and were last back there probably in 1999/2000. I’m sure the whole town is so different now. 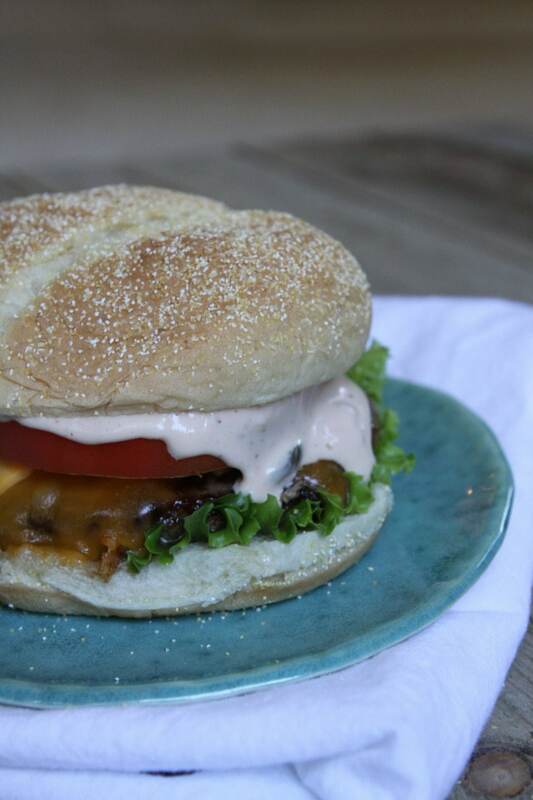 Now that we live in the land of Fry Sauce — which often finds it’s way on to our burgers! — I’ll definitely give your sauce recipe a try. It’s sure to become a favorite! How fun that you remember The Penguin! The town is different for sure. People used to ask for sides of this sauce for French Fry dipping. I think I replicated it pretty well. We all miss The Penguin though!